A $15 million renovation has turned a formerly drab office building into the new home of a jazz club. The owners of the 300 South Brevard tower announced this week that they’ve landed two tenants for their two-story retail area that tops eight floors of office space. The first tenant is the Middle C Jazz Room, a locally owned endeavor that wants to bring in some of the top performing jazz acts nationally. Tickets for each performance are expected to range from $10 to $80. The second is Public House, a concept from Davidson Street Public House owner Chris Healy that will focus on craft cocktails. The deal represents a big bet that’s starting to pay off. Stream Realty Partners bought the building for $45 million in 2015, a few months after it was abandoned by AT&T, which originally leased space there as BellSouth. The company operated a call center and had some other employees there, as well. That touched off a major two-year renovation project that included completely overhauling the interior and adding more connections to the nearby light rail. The two new tenants add a new block to the area of Uptown you’d consider a nightlife hotspot. One block to the east is Fahrenheit, two blocks north is the EpiCentre, and a block south is Buffalo Wild Wings at the NASCAR Hall of Fame. The two new nightlife options will also bring more attention to a building that’s still seeking an anchor tenant. 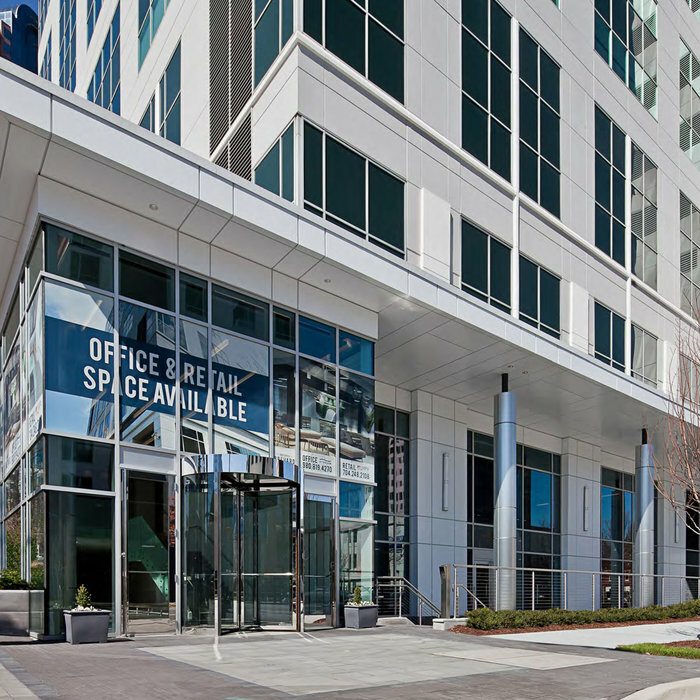 The tower represents one of the biggest single blocks of office space available in Uptown Charlotte.